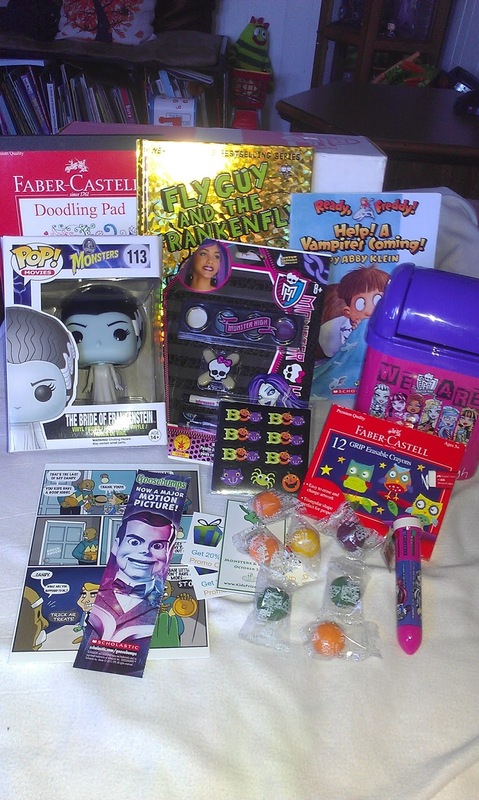 I recently discovered Kids Prize Pack, which is a really fun subscription box for kids packed full of books, toys, and other fun items. They have multiple boxes to choose from. You can choose a boy or girl box and each of those boxes have the choice of age 4-8 box and age 9-12. 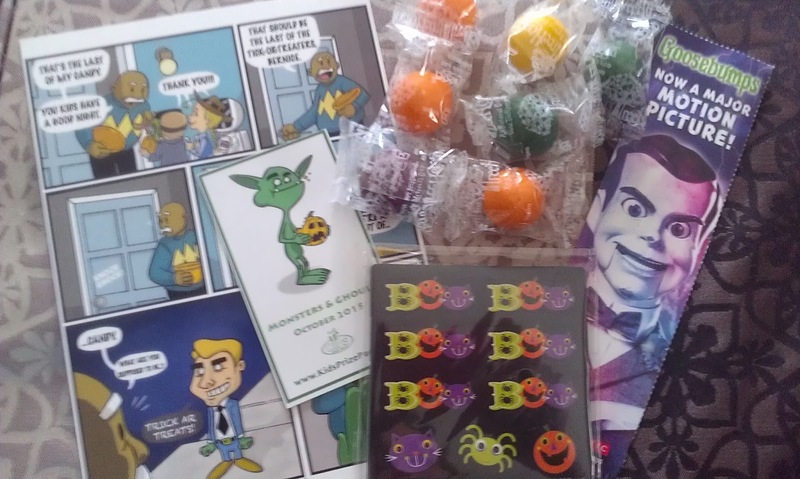 I'm a little late to the game here, but I received October's box and I was highly impressed with it! When I say it was jam packed with goodies, I really mean it! Look at all that stuff! WE received the girl box, and I believe it's the one for age 9-12 which is perfect because my daughter turns 9 this month. 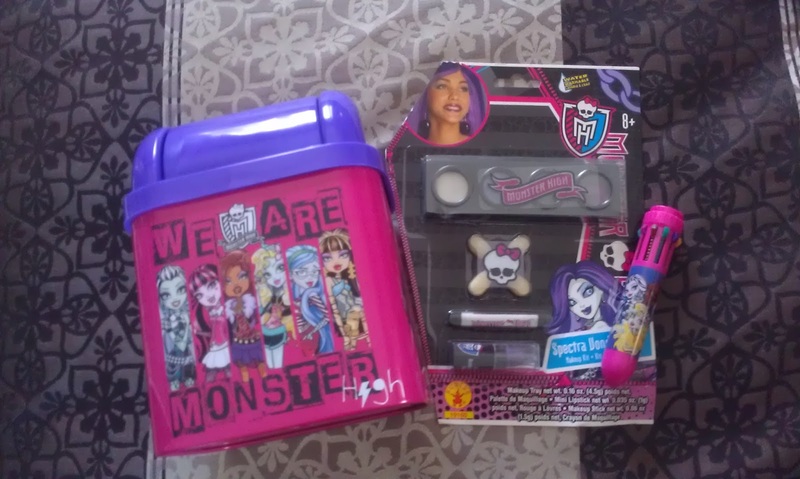 My daughter hasn't really showed much interest in Monster High stuff, but she actually liked the little desk trash can and the pen. We received our box a little late o she was unable to wear the Monster High makeup, but maybe we'll do that for Halloween next year. Like I've said before, we love books in this house. My daughter reads for at least 15 minutes every night. 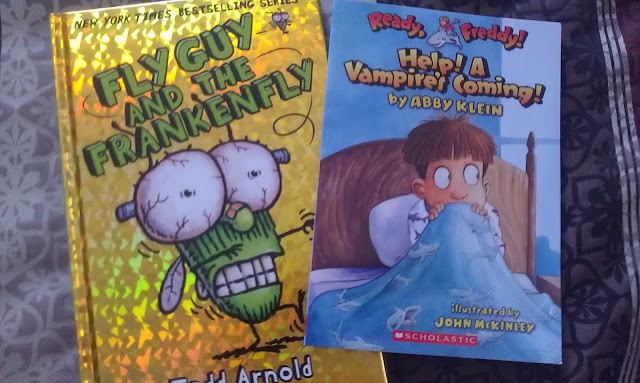 So I was so happy to receive not one, but two books in this box! I also like that they aren't gender specific so they interest both my son and my daughter. You are guaranteed at least one book in every box! How awesome is that? Another thing we love to see in sub boxes is art stuff. I have always believed that encouraging art in children brightens their creativity and is a great way for them to wind down. So naturally, I liked seeing a doodle pad and crayons. 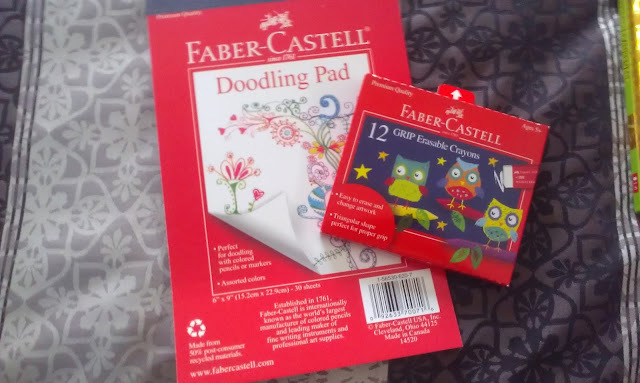 The doodle pad is full of multicolor paper and the crayons are actually erasable, which is something I've never seen until now. I'm very interested in seeing how they work. We also got a Bride of Frankenstein Pop Vinyl. I unfortunately didn't manage to get a separate picture of it before it was placed into our massive (and I do mean massive) collection of Funko Pop Vinyl figures. I don't know about others, but I get overly excited when I get Pop's in subscription boxes. That's probably half the reason my collection is so huge. Lastly, they filled the box with a bunch of other random goodies, from candy to stickers, a bookmark, mini comic (which you can find in every box) and a monthly magnet with the box's theme. I think this is a fun box to get kids when you want to reward them for good grades, behavior, or for a birthday or holiday. Kids love receiving packages in the mail and you can gift a subscription to someone!